However, women had more speaking roles in those movies, up two percentage points from 2016. Representation of women of color also improved slightly. In other news, a recent survey of 850 women in the film industry found that 94% of respondents experienced sexual harassment or assault. Peggy Cooper Cafritz, an arts patron, civil rights activist, educator and saloniste in Washington, D.C. passed away on February 18 at the age of 70. NPR highlights Feel Free, Zadie Smith’s new essay collection. 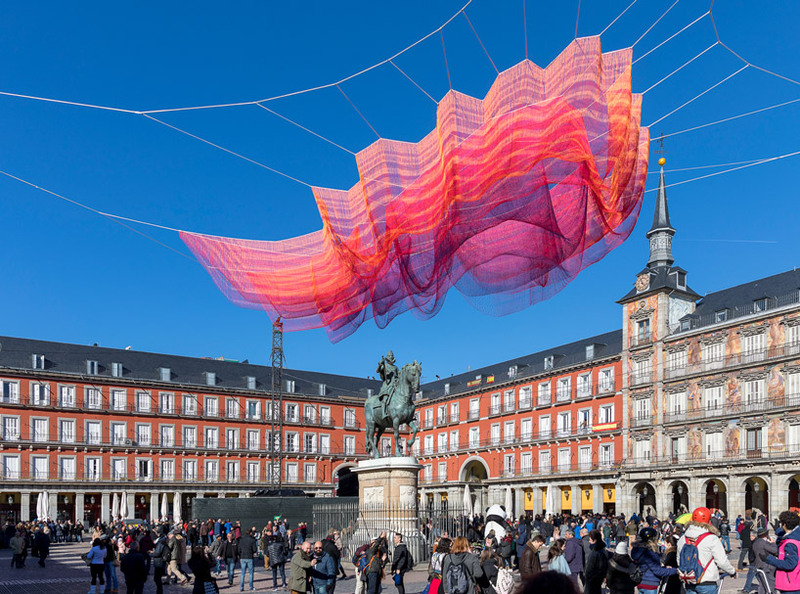 Janet Echelman suspends a seemingly-weightless net sculpture made of 600,000 knots and 77 miles of twine for the 400th anniversary of Madrid’s Plaza Mayor. The Katastwóf Karavan by Kara Walker will be on view this weekend in New Orleans on a site where African slaves were quarantined in the 18th century. “As women in the art world rise up against abuse from collectors and others, will the culture that’s protected predators shift?” asks the Guardian. Princeton University Press released an expanded edition of Anni Albers’s On Weaving. Sofia Campoamor is the first woman ever selected for Yale University’s Whiffenpoofs, the oldest a cappella group in the country. Paula Rego discusses her path and approach to life-drawing. The Harvard Library digitized Virginia Woolf’s photo albums, which are now available to the public. Actress Danai Gurira discusses the cultural impact of Marvel’s Black Panther. Nezhat Amiri, Iran’s first-and-only female conductor, led a 71-member orchestra performing at Tehran’s most prestigious concert hall last month. 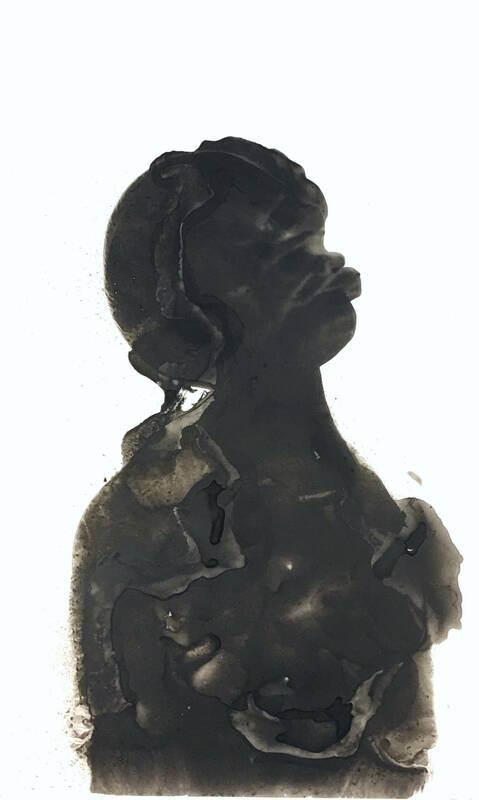 Kenyatta A.C. Hinkle’s paper-and-ink portraits at the San Francisco Arts Commission raise awareness about black girls and women who have gone missing due to human trafficking. 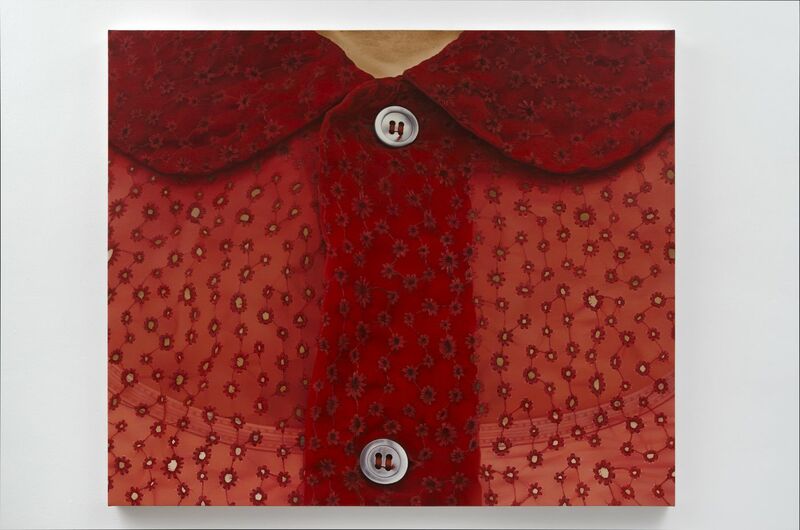 Women Look at Women, the inaugural exhibition at Richard Saltoun Gallery in Westminster, England, explores sexuality and the female body through a feminist lens.